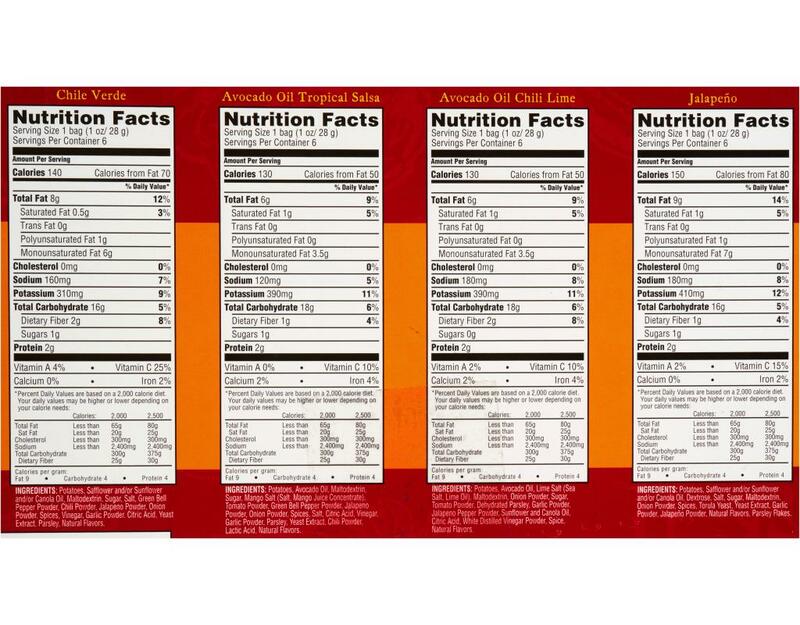 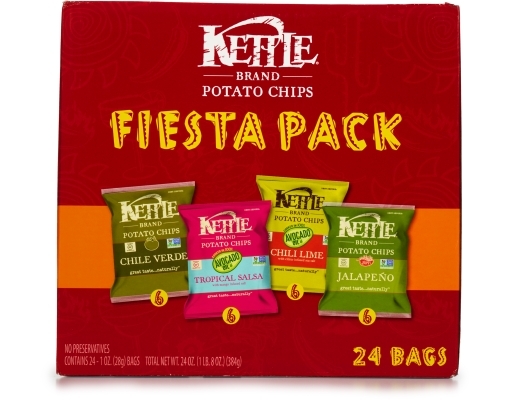 This Fiesta Pack is full of fun, bold flavors. 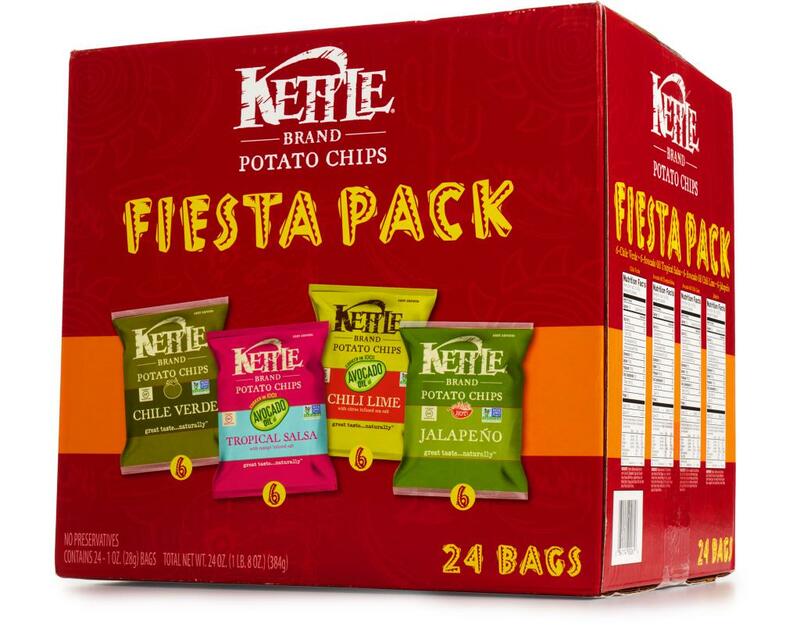 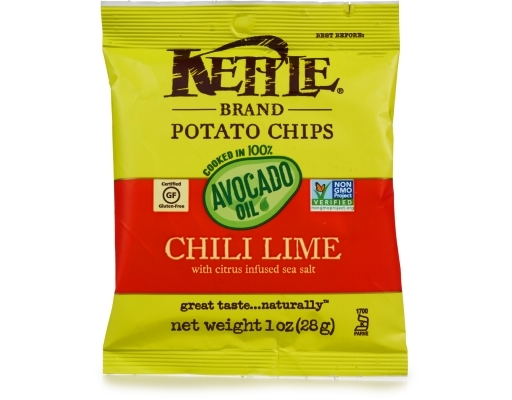 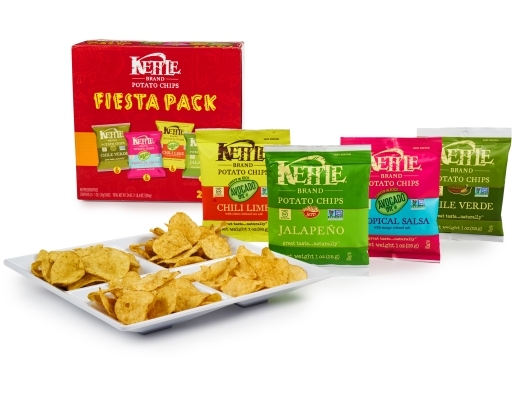 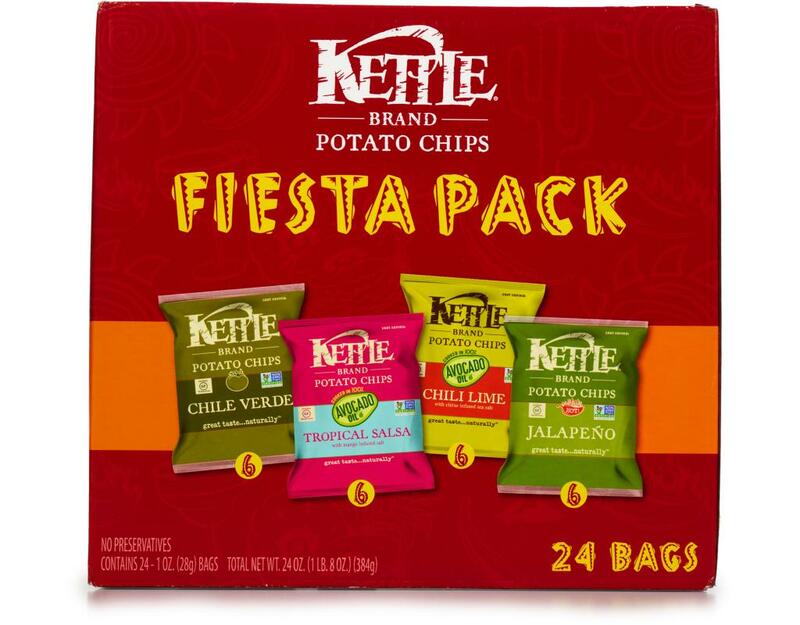 Featuring 6 bags each of 1 ounce Jalapeño, Chile Verde, Avocado Oil Tropical Salsa, and Avocado Oil Chili Lime kettle chips, there is plenty of flavor to go around at your next fiesta! 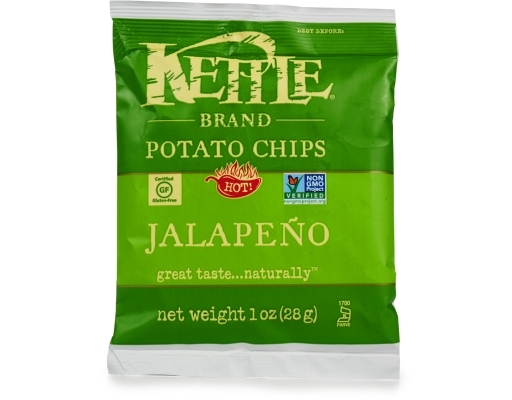 Kettle Brand Potato Chips: simply great tasting, natural potato chips made by a company that cares. 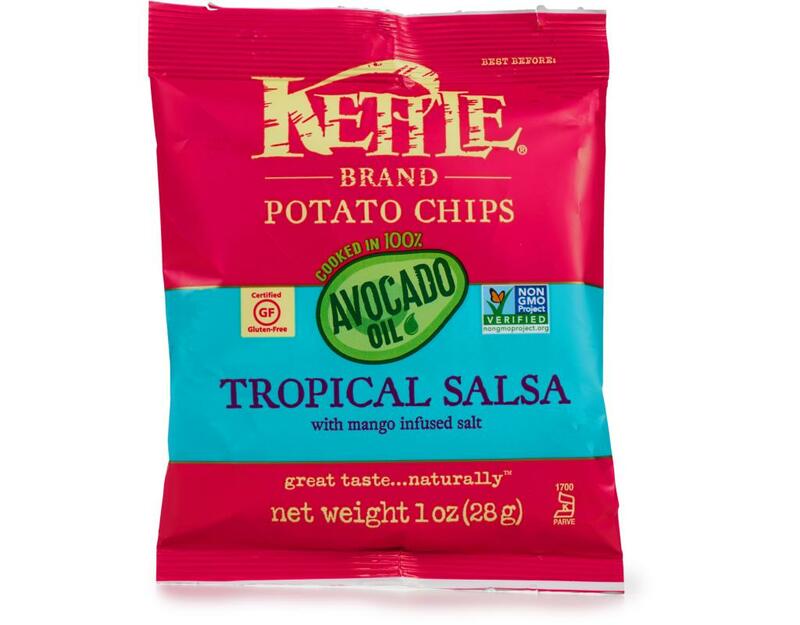 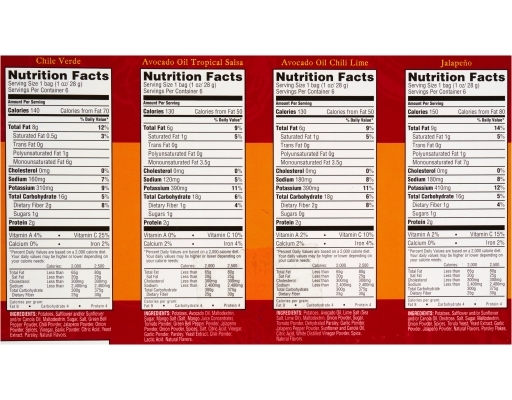 All items are Non-GMO Project Verified, Certified Gluten Free, Made with Natural Ingredients, Kosher Certified, and Preservative-Free. 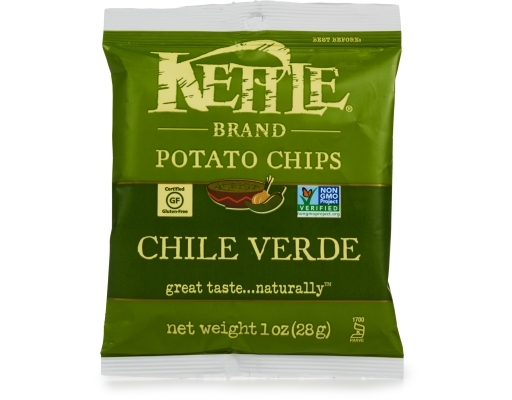 Kettle Brand Potato Chips have bold flavor and a hearty crunch. 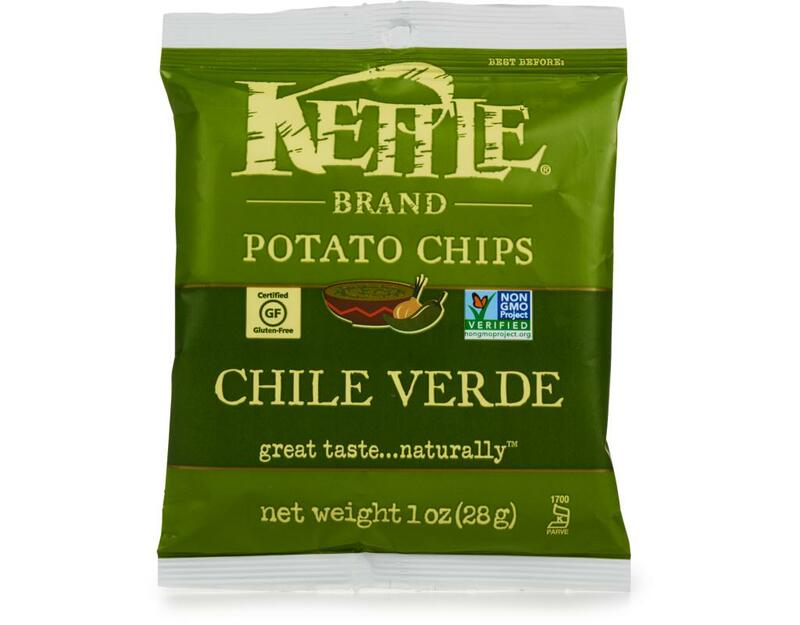 They taste so great because they’re made from natural, real food ingredients, the finest potatoes, the best oils and craft cooking methods. And they’re backed by Kettle Brands' commitment to sustainability initiatives that include wind power, solar power, green building and biodiesel.